Your beauty comes by the right way of living. The age old quest to stay young is one that many of us become familiar with at some point in our lives. Just glance at the rapidly growing American anti aging product market and rising diet consciousness. You can confirm that Americans are not only pursuing longer lives, but are seeking ways to delay aging across the board. 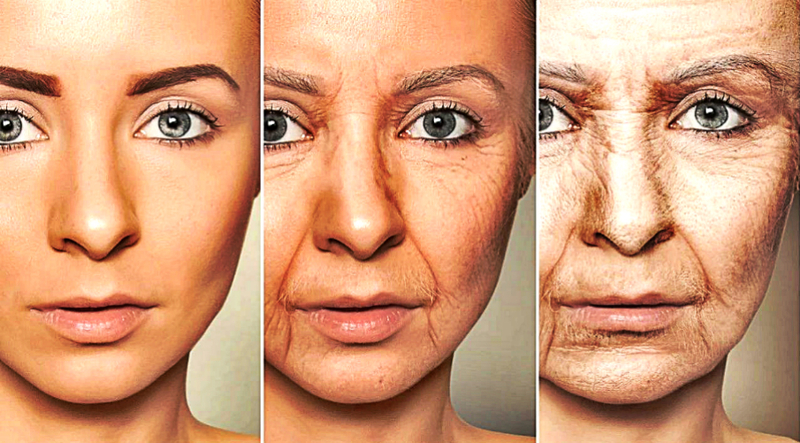 However, the secret to staying young as you age encompasses much more than addressing fine lines and wrinkles, it is about achieving optimal well being all around. Take a look at a few suggestions that can help you improve your quality of life and slow down the age clock in modern times. 1. Take care of your body and it will take care of you. To stay younger, you must first take care of your physical health. An active lifestyle and healthy, varied diet will not only extend your life expectancy, but also decrease your chances of medical conditions. A study published by the New England Journal of Medicine found that people who switched their diets up to include more wholesome food stood a better chance of living longer. A healthy diet minimizes red and processed meat consumption and includes a variety of fruit, vegetables, and whole grains. Including 2 servings of oily fish such as salmon each week can help you get the required amount of Omega 3 fatty acids, which supports brain, eye, and heart health. Other healthy habits include giving up smoking, which has been shown to increase the risk of lung cancer. Exercise does not have to include a preset gym routine either. Simply going for a walk in the mornings can count as a cardio activity, and can help you stay healthy post career on a budget. Maintain an active lifestyle by keeping yourself moving and getting outdoors and involved in sports or hobbies. 2. Make mental health a priority and norm. Self care includes looking after your mental health. Millions of us find ourselves dealing with conditions like depression, anxiety, and stress as we get older. These conditions can impact many aspects of our lives. Regardless of their age, chronic stress continues to present itself as an issue for Americans, particularly financial stress. Seniors are often worried about outliving their retirement savings, and the general population continues to deal with rising debt. As a consequence, our sleep and diet are being affected, with stress being the number one reason cited for poor sleep across the country. Adopt mental care measures to relieve stress and deal with any anxiety you may find creeping up, and opt to do so early. Meditation and exercise have been linked to stress relief repeatedly over the years. It is also important to set boundaries and learn to take a break. Time out with friends, family or doing something you enjoy can provide a refreshing break and help you maintain a positive outlook. 3. Redefine your retirement terms. An important part of staying young is keeping your mind sharp. Delaying retirement does not necessarily mean putting off leaving the workforce, but relates to continuing your career even after. More seniors are taking the leap and starting their own business after retiring, whilst some are even beginning second careers. No longer is the age of 66 years a clear cut time for retiring from work. With companies becoming increasingly flexible in their employee and recruitment policies, many are also opting to stay on in their current roles in part time positions. This can help you in more than one way, working into retirement helps you to stay active both mentally and physically. Multiple studies have linked retirement to increased stress levels and in some cases, reduced life expectancy. The key to it all is achieving a balance between life and work. It is also important to continue to set personal goals even in retirement, including career and lifetime goals. They act as a motivator and something to work toward throughout your life.